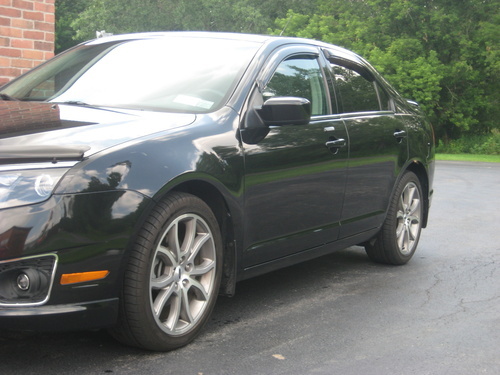 This high QUALITY official manual for 2011 Ford Fusion Hybrid is 100 percents COMPLETE and INTACT, no MISSING, CORRUPT pages, sections to freak you out! This manual is exactly as described. It is in the cross-platform PDF document format so that it works like a charm on all kinds of devices. This highly detailed workshop service repair manual for download contains virtually everything you will ever need to repair, maintain, rebuild, refurbish or restore Your 2011 Ford Fusion Hybrid (ALL MODELS ARE COVERED). All diagnostic and repair procedures and gives you access to the same information that professional technicians and mechanics have. You can view and print out the complete repair procedures with this workshop service repair manual Download - you do not need to be skilled with a computer. General Information, Specifications, Lube Points, Oil Types, Periodic Maintenance and Tune-Up Procedures, Engine Servicing, Disassembly, Reassembly, Engine Removal, Fuel and Lubrication Systems, Carb Rebuild, Carb Adjustments, Electrical System, Ignition, Charging, Starter, Battery, Switches, Chassis, Wheels, Brakes, Steering, Suspension, Axles, Chassis Assembly, Servicing Information, Wiring Diagrams, Wire/Cable/Hose Routing, Tools, Tightening Torques, Service Data, Complete Engine Service, Fuel System Service, All Factory Repair Procedures, Wiring Diagrams, Gearbox, Exhaust System, Suspension, Fault Finding, Clutch Removal and Installation, Front Suspension, Bodywork, Gearbox Service, Gearbox Removal and Installation, Cooling System, Detailed Specifications, Transmission, Factory Maintenance Schedules, Electrics, Engine Firing Order, Brake Servicing Procedures, U-Joint Service Procedures, CV Joint Service Procedures, Timing Chain Service, Exhaust Service, Abundant Illustrations, Lots of pictures & diagrams, 2011 Ford Fusion Hybrid Plus Lots More. 2011 Ford Fusion Hybrid Workshop Repair & Service Manual [COMPLETE & INFORMATIVE for DIY REPAIR] ☆ ☆ ☆ ☆ ☆ hybrid;fusion;ford;2011 270201237 23.99 miyamoto Fresh Download Available!